From the first time you meet one of our team, we’ll start drawing up a precise picture of your finances. It’s a blueprint that will be updated as your finances grow and change. It’s what we’ll go back to ensure you’re getting the best advice whenever you need us. There’ll be areas you know and others where we think your finances could be improved upon with our guidance – whatever the conversation it’s always friendly and open. Matching the right financial products to your individual situation always comes first for us. Because we’re independent we have access to thousands of different financial products. From simple, tax-efficient investment planning through to fully managed portfolios, we’re experts in putting you first and finding the right answers. 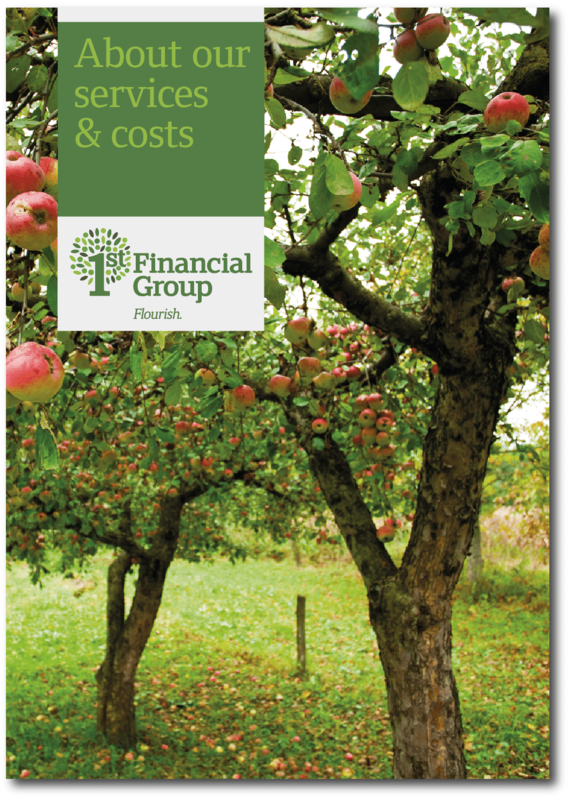 Our costs & services downloadable document explains how we charge for our services.